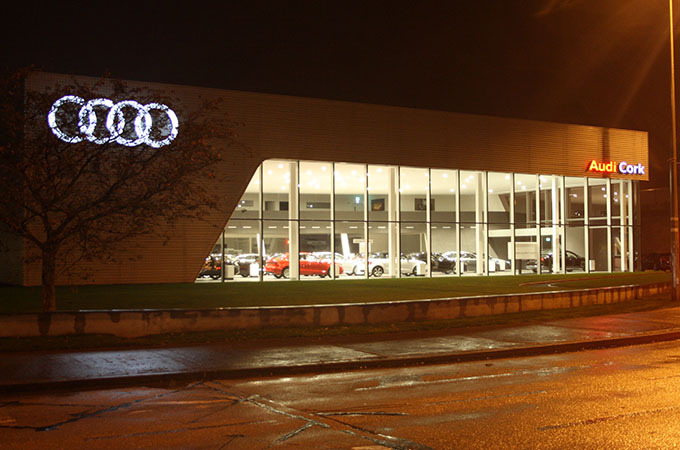 The design intent for the showroom glazing which was over six meters, was required to be a free standing glass and aluminium structure without the need of mid span horizontal steel beams. To achieve a vertical span of over six meters, Alucraft developed a special 250 mm self-support aluminum mullion in conjunction with Schuco to achieve this demanding aesthetic requirement. 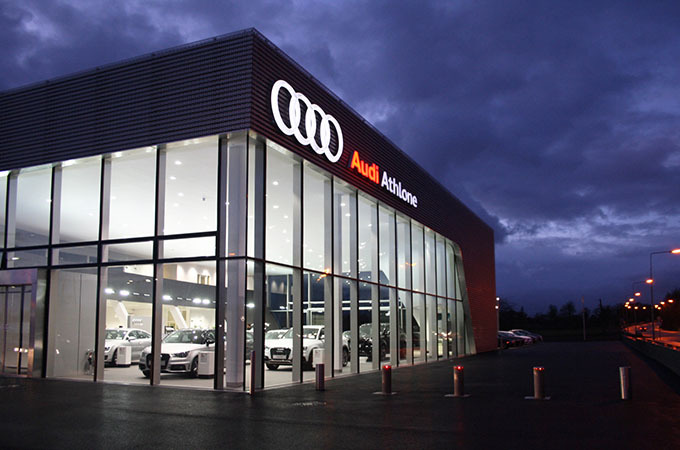 The selection of special anodised finishes is part of the Audi European Network with a natural anodised AA 25 finish internally, with a black anodised finish on the external. Large high performance insulating glass units were installed with an average size of two meters by three meters.